Fiji Melons is part of the “Ripe” collection from Vape 100. Stock up on this deal with 360ml of Fresa Melon liquid for under $9! Underwood is part of the Limited Edition Collection from Savage Liquids. 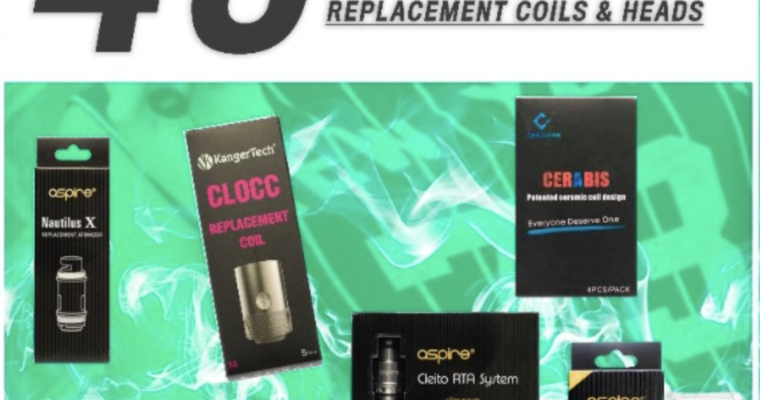 Take 40% off the entire selection of replacement coils and heads with coupon MFS40COIL Limited to 2 per customer. Expires Monday April 30th (Midnight EST). Coupon stacks with already reduced sale items for even steeper discounts. Are you tired of waiting for your vape refill? 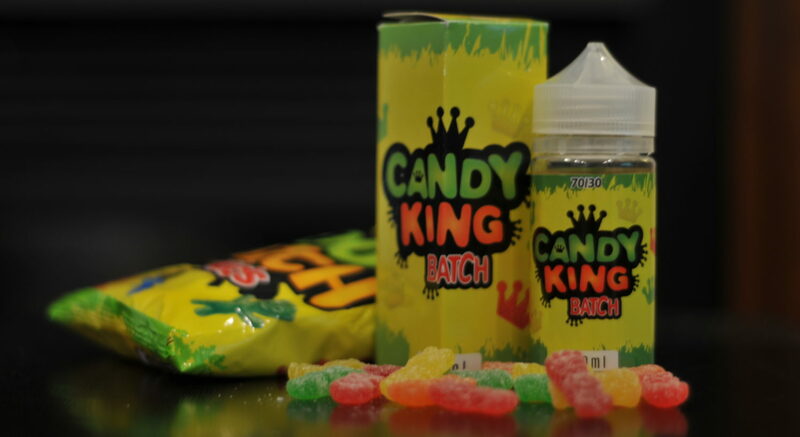 Tired of trying to figure out what new flavors to try? Or maybe you just love a good deal? Either way,the Savage Box might be for you. 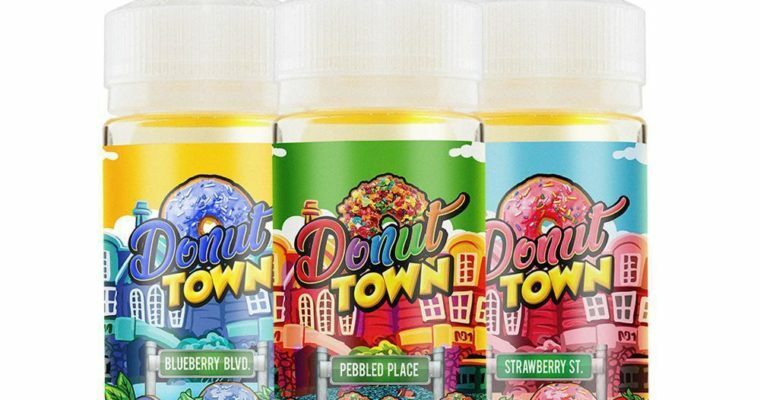 For only $45 $30 a month, you get 300ml of Vape Juice delivered to your door every month. 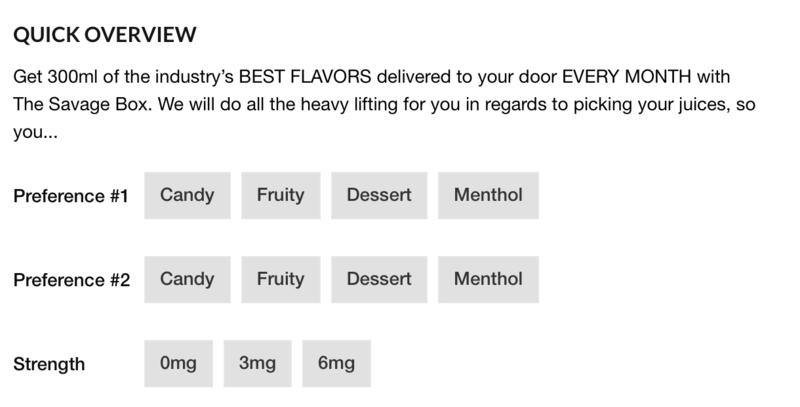 You just tell them what your vape preferences are and they send a care package to keep you stocked up. Best of all the flat price is also easy on the wallet. Give the “Savage Box” monthly vape box a try and take the hassle out of your hobby! Get 300ml of the industry’s BEST FLAVORS delivered to your door EVERY MONTH with The Savage Box. We will do all the heavy lifting for you in regards to picking your juices, so you can sit back and relax. As leaders in the industry for over 4 years, both retail and distribution, we know EXACTLY what you guys want. With The Savage Box, you tell us your preferred flavors, we find the best juices & ship them straight to your door. Need we say more? 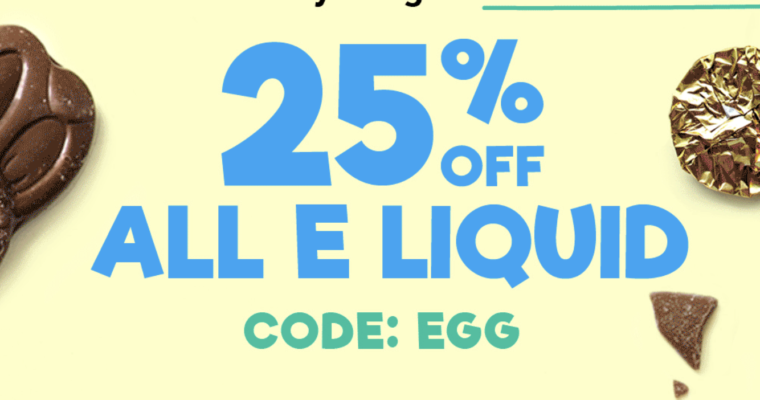 Breezy is offering 25% off your entire order with coupon EGG Now is a great time to stock up on some juice, especially since the 25% discount applies to sale items as well.